The House has sent the Senate legislation to have school districts add discrimination to anti-bullying policies. The proposal sponsored by Representative Sue Allen (R-Town and Country) says those policies should bar bullying on school grounds, at school events and on school buses, and defines cyberbullying. It also lays out what should go into a policy and would require the State Board of Education to develop model policies by September 1. The debate in recent years in the House has centered on whether an anti-bullying bill should specify who it protects by listing factors for discrimination: things like sexual orientation, race or religion. Allen’s bill does not. She says a blanket approach means no children will be left out. Representative Mike Colona (D-St. Louis City) references an unrelated piece of legislation filed last year in the House in arguing that enumeration is needed. 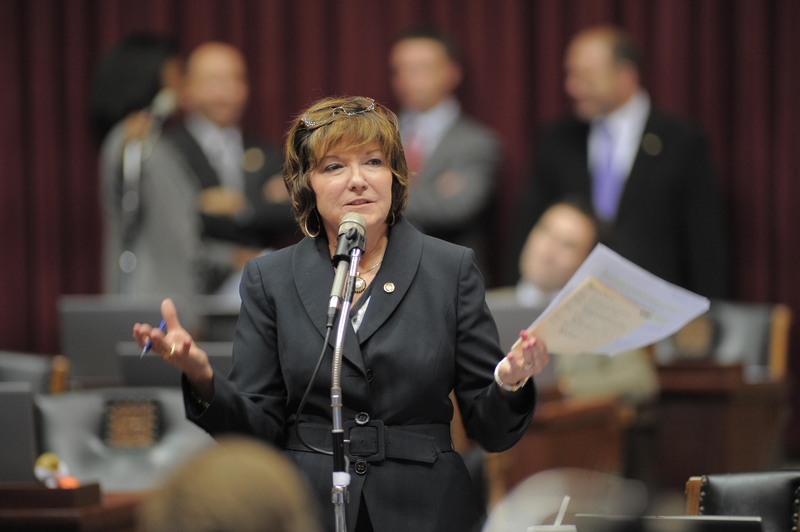 Representative Margo McNeil (D-Florissant) says children would be made safer and better able to learn by a bill that includes specifics about who it protects. Representative Jeanie Lauer (R-Blue Springs) says attempting to list all possible factors for discrimination would surely miss some children who also need protection. The House voted 141-10 to send the proposal to the Senate.